Official Homeopathy Resource | Your online source of accurate information on homeopathy. Nature.com published a study in 2018 showing that homeopathic remedy Rhus Toxicondendron (also called Rhus Tox) impacts neuropathy. In a highly controlled experiment the homeopathically prepared remedy clearly had an effect. One of the darkest efforts in “science” is the way Wikipedia treats homeopathy. No experts on homeopathy are allowed to edit the wikipedia entry. As a result, amateurs pound out a negative and innaccurate pharmaceutically driven party line against homeopathy. Canadian Broadcasting Company or Canadian funded reporters are on a mission to destroy homeopathy and anyone who criticizes their reporters. First a reporter for the CBC as it is called in Canada, wrote an article decrying the practice of homeopathy and frequently describes homeopathic remedies as “sugar pills”. In the first article she bitterly complains there is nothing in those “sugar pills”. Then after Anke Zimmerman ND, a naturopath who practises homeopathy wrote a well written response to the reporter’s first article, the reporter made a vindictive attack on this lovely hardworking Canadian naturopath. On Anke Zimmerman’s web site she describes a profound cure of a child with severe neurobehavioral problems who was treated by the remedy Lyssin which is a homeopathic energetic resonance of rabies. The reporter then goes to various public government officials telling them that this practitioner is giving actual “rabies” to children and asking their opinion. The reporters continue to discuss this remedy and all homeopathic remedies as if they had something in them. An exact opposite of the first attack based on “nothing in them.” The reporter knew full well that homeopathic Lyssin, has no trace of rabies in it but is rather an energetic imprint or message of it. Unfortunately, objective reporting and fairness as demonstrated numerous times in the recent past goes out the window in the sponsored attack on homeopathy. This would have been and still is an opportunity to educate the public about the profound and positive curative effects of homeopathic energetic remedies. Homeopathy has an over 200 year history of effectiveness and safety. It is used by tens of millions of people worldwide with satisfactory and even brilliant results for both acute and chronic conditions. Luc Montagnier won the Nobel prize for discovering the AIDS virus. A documentary on Luc Mondagnier’s transmission of an imprint in water, showing that water can have a memory, was successfully done on French television. The Documentary “On a retrouvé la mémoire de l’eau [Rediscovering the Memory of Water]” has been broadcast by the state-owned France 5 television station. You can also watch it on You Tube at https://www.youtube.com/watch?v=_2xInJFD23k. It is an amazing experiment which demonstrates that water holds some sort of memory and that this memory can even be digitally transmitted. In this video, Gemma Hoefkens describes her amazing experience of being treated by homeopathy whilst having end stage terminal brain cancer. After conventional treatment was given to no avail, she was given months to live. Her homeopathic treatment led to a remarkable improvement to the point where she studied and became a homeopath. Public health expert, Dana Ullman has written an article on Mercola.com that is critical of the United States Food and Drug Agency for going after homeopathic remedies instead of dealing with the pharmaceutical industry’s serious problems. On this web site we have written a number of articles on how the pharmaceutical industry and medical industry attacks homeopathy to deflect the dangerous effects of pharmaceutical drugs. Even though homeopathy has a remarkable 200 year history of safety, the FDA, which is supposed to deal with these issues, is doing the same. This is to deflect its inability to deal with pressing issues that are causing serious harm and death such as the opioid crisis and conventional pharmacuetical drugs that have caused thousands of serious side effects including death for those taking them. Since homeopathic remedies have such a profound history of safety, (especially relative to the pharmaceutical industry), the only way they can create more regulations for homeopathic remedies is to judge that homeopathic remedies “might” cause problems. The Lancet, a medical journal here in the UK, has published a study concerning heart stents. Half the participants received a surgical procedure with a stent installed but then half got a “placebo” surgical procedure and in the end, did not get the heart stent put in. The results showed that both those with a stent and those without continued to experience angina heart pain after the procedure. The study is problematic on two counts. First, tens of thousands of patients have procedures where stents are put in with the idea that it will reduce heart pain and now it is found that putting in a stent is all but useless for that. In contradistinction, Homeopathy has an over 200 year record of safety and efficacy. And the pharmaceutical, medical industry represented by The Lancet is in a fight against safe and effective homeopathy. The Lancet published a poorly cobbled together study on homeopathy, knowing the author was biased against homeopathy and the study poorly done. Experts have called the study a sham but Lancet continues its fight against safe homeopathy and supports dangerous procedures to show that double blind studies are the only arbiter of efficacy. With Homeopathy having very positive clinical results, popularity and an increase in its market share in emerging economies the medical industry had a great fear. As a result, the conventional pharmaceutical industry started a subterfuge campaign against homeopathy stating it was unscientific and therefore more dangerous than conventional medical drugs and procedures. This was without any real substantiation. They would have you believe that it is more dangerous to take a homeopathic remedy than to get surgery. And obviously it has come to the place where the standard of care for The Lancet medical journal is surgery over safe alternatives, even sham surgery that injures. A documentary called “Magic Pills”, showing how homeopathy is practised world wide and the multitude of successful scientific research studies is about to be released. It also shows how much of this positive research on homeopathy has been suppressed. At the end of the new documentary on homeopathy “Just One Drop,” there is a section on the 2015 study about the scientific validity of homeopathy done by The Australian National Health and Medical Research Council. The Research Council published a negative conclusion that got world wide press. As reported in the documentary, a subsequent investigation done by an Australian individual and other Australian homeopathy groups showed that the Council’s researchers involved in this study were terribly biased and even lied about their impartiality. The initial chair of the study was a leading outspoken skeptic of homeopathy. At first, an impartial company with a group of researchers were fired by the Council when they presented a report that concluded that homeopathy was effective. Then the subsequent research group, under the Council’s direct guidance, created criteria for evaluating studies of homeopathy that were never used before in the evaluation of other scientific studies. This unprecedented procedure effectively blocked all studies of homeopathy that had a positive result. In response, one of the researchers interviewed on camera belligerently justified these actions by claiming ‘it was homeopathy!’ they were evaluating. There are many dramatically positive scientific studies validating homeopathy’s effectiveness and none of these were included in their report. Many are described on this web site. Even though there have been many complaints to the Research Council, after 2 years, there is still no substantial results of their supposed review of the lack of integrity and dishonesty by their own researchers. For more detailed information see the documentary Just One Drop. Kiran Grover who is the Chairman of the Society of Homeopaths in the United Kingdom had both her grandfather and Great Uncle as a homeopath. As well, her mother trained in homeopathy. After getting a BA and then an MA from London University and working in Whitehall, (centre of the UK government), she became a homeopath and now has a private clinic. She warmly discusses being a professional homeopath. A new film on homeopathy has been released by Laurel Chiten (Blind Dog FIlms) who is the Producer and Director. “Just One Drop” explores the people who have been dramatically helped by homeopathy as well as the history and controversy of homeopathy. A new complex scientific experiment tested Arnica montana to see if it would change genes that are related to wound healing. As the authors said: “This work tested Arnica m. effects on gene expression using an in vitro model of macrophages polarized towards a “wound-healing” phenotype” The experiment showed that even highly diluted and potentized Arnica had a noticable effect! Arnica montana prepared homoeopathically has been used for over 200 years by homeopaths and consumers to heal injuries especially bruises. According to a recent report in GP online(1) depression is now the fastest growing condition in the UK. 470,000 new cases were reported in 2015/16, which exceeded obesity, hypertension and diabetes. This leaves the total number of patients over the age of 18 with recorded depression standing at 3.8m people, or 8.3% of the population. The report is based on analysis prevalence data from Quality and Outcomes Framework(QOF), published in NHS digital.2 In the meanwhile, waiting times for patients to access talking therapies such as Cognigive Behavioural Therapy is, according to the General Practitioners Committee deputy chairman Dr Richard Vautrey unacceptably long. Given that women are up to three times more likely to develop major depressive order, findings from a recent trial where homeopathy was given to peri-menopausal and menopausal women with depressive symptoms is very interesting. This randomised, placebo controlled trial took place in Mexico and included 133 women. 54.5% of women responded positively to homeopathic treatment, which was similar to the response to fluoxetine but significantly higher than from placebo. Only homeopathic treatment led to a reduction on menopausal symptoms, which is in line with its whole person effects. The North American Society of Homeopaths also called NASH is the leading organization in certifying both homeopaths and schools in North America. The prestigious designation RSHom whether in North America or the UK is recognized internationally as meaning members are trained to high standards of homeopathic practice. Based on the Society of Homeopaths here in the United Kingdom, NASH is an organization that both certifies homeopaths and homeopathic schools in North America. Like in the UK, a Society of Homeopaths professional homeopath is considered a competent and important part of many patient’s health care. On both web sites you can find a school directory and a professional directory. Members of the UK Society of Homeopaths are accredited with the Professional Standards Authority. And on both web sites you can find out more about homeopathy. Also on the NASH web site you can find the NASH library. 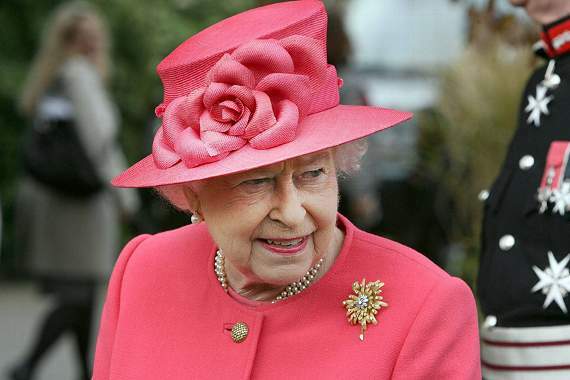 On her 90th birthday, the London Weekly News reports that in spite of criticism the Queen has used homeopathy all her life and has remarkable good health. In fact, many generations of the Royal family have used homeopathy. For as The Queen marks her 90th birthday on April 21, that she has reached such an excellent age is largely due to her lifelong trust in homeopathy. Everywhere that Her Majesty goes she is accompanied by a small case of special cures and tinctures and, although doctors no not care to admit it, it is because of her herbal little helpers that she rarely gets a cold or any other sort of complaint. Homeopaths help patients in a deep and long lasting way. It is a very fulfilling career. Here, Sarah Hemsley, a homeopath for over 25 years describes her training and career choice. The Swiss interior ministry has announced its intention to elevate five complementary therapies including homeopathy to the same level as conventional medicine. Homeopathy, holistic medicine, herbal medicine, acupuncture and traditional Chinese medicine will acquire the same status as conventional medicine by May 2017. Canada’s largest province, Ontario, has now officially “proclaimed” homeopathy as a health profession. It gives professional homeopaths equal footing with other health disciplines. The United Kingdom’s Society of Homeopaths’ voluntary register has been accredited under a new scheme set up by the Department of Health and administered by an independent body, the Professional Standards Authority for Health and Social Care, which is accountable to the United Kingdom’s Parliament. Homeopathy is an important part of the medical fabric of most countries in Europe. One in six Italians use homeopathic medicine at least once a year says a new independant research study. The new report also shows that over 20,000 Italian Medical Doctors recommend homeopathy. (ANSA) – Rome, February 23 – One in six Italians use homeopathic medicine at least once a year, research by health sector research institute DoxaPharma showed on Tuesday. “The number of Italians who are familiar with our products remains high, but the economic crisis that has hit companies globally has without doubt negatively influenced prescriptions of the drugs, for which patients have to pay the entire cost,” said Omeoimprese President Giovanni Gorga. Primarily medical doctors practise homeopathy in Italy. There are a number of large homeopathic medical organizations in Italy that have several schools and associations each. These are SIO (Societa Italiana di Omeopatia) and FIAMO (Federazione Italiana delle Associazioni e dei Medici Omeopati). There are many schools teaching homeopathy and some interesting research into homeopathy happening at main stream Universities in Italy. In 2015, the Australian National Health Medical Research Council’s (NHMRC) authored a report that designated homeopathy ineffective. But many serious methodological flaws, procedural irregularities, bias and conflicts of interest have come to light about the whole process. The Australian Homeopathic Association (AHA) has investigated and has taken their report of the serious irregularities to the Council. Because of the nature of the problems that have been uncovered the Council is now having an internal investigation. Probably the most serious being that the head of the NHMRC Homeopathic Working Committee was a member of a pro-pharmaceutical corporate medicine group called FSM. Such factors, amongst many others, bode well for having the ‘Review’ and its findings permanently set aside, which is AHA/ CMA’s goal. After a lead-up investigation period, in August 2015 CMA provided NHMRC with a dossier outlining critical methodological flaws, procedural irregularities, bias and conflicts of interest associated with the ‘Review’. This successfully brought NHRMC to the negotiating table on September 17, 2015, under threat of further follow up action underpinned by legal support. At the meeting, attended by representatives from the AHA, CMA and their legal representation, NHMRC agreed to undertake a formal internal review of its processes and consider a detailed (61-page) submission prepared by CMA/ AHA detailing these irregularities. NHMRC is currently undertaking this internal review. AHA appreciates members’ and supporters’ patience in this matter. Now that a formal complaints process has been initiated via NHMRC, AHA is more able to keep everyone informed of progress with this situation as it develops. Jessica Alba used homeopathy when she was in Australia doing a TV show. It inspired her to start a natural product company that has grown to over 1 billion in sales. Jessica Alba recently confessed to Vogue how the creation of her successful eco-friendly enterprise was influence by Australia and the lifestyle she experienced in that country, “I did a TV show in Australia for two years, and that’s where I learned about homeopathy and homeopathic medicine,” Alba said as she explained how she started to get inspired for her business, The Honest Company. A conventional pharmaceutical drug trial in France has left five people seriously injured with one participant becoming brain dead and dying. A new report says that heartburn medications, proton pump inhibitors called PPIs, which are one of the top ten drugs prescribed in the world- – have damaging effects on the kidneys. The studies also showed that taking PPIs increases your risk of dying prematurely by 76%. All these add to the overwhelming body of work that shows that the conventional drug clinical trial and what is called the gold standard of double blind studies are not a predictor of safety and ultimately efficacy. It also seriously erodes the whole basis of pharmaceutical drug research and testing. Homeopathy, on the other hand, has a 200 year old history of incredible safety and clinical efficacy. It is not driven by corporations. Not only that, homeopaths have developed complex and sophisticated clinical methods of evaluating their own therapy and other treatment modalities. The homeopath’s system of monitoring the positive or negative effects of therapies by their acute observation of the overall effect of any therapy, disease or situation started with what were called “laws of cure” by one important homeopath in the 1800s. By observing over 20-30 years the health of their general patient population and specific patients, homeopaths have been good at identifying directions of cure and disease in the total body system. It is one of the reasons why homeopathy is the second largest form of medicine in the world and has millions of patients that can attest to its effectiveness and lack of side effect. So you would think that with the positive outcomes and safety of homeopathy and other alternative medical therapies that there would be a dramatic support and movement away from pharmaceutical drugs. But there isn’t a dramatic movement albeit an increase in those turning to alternatives. This is because Drug companies have spent millions on certain kinds of negative aspect public relations, making sure that this does not happen. The key is to understand that drug companies, many years ago recognized that their drugs were potentially harmful and that non harmful alternatives were taking more market share. They implemented a strategy to attack alternative choices and eliminate competition. As well, by focusing attention of critics on alternative health modalities and making them appear “dangerous” and claiming that drugs are made with the only “scientific” method, it takes the heat and focus off their own products. There are even organizations and individuals that have been funded by pharmaceutical companies to promote just that method of attack. There are various names for this type of activity and “Tactical Negative Public Relations” is one of them. With such a deep deep corporate pocket, this activity has had far reaching impacts which have not been good for consumers and causes grief for alternative health practitioners. It has best been accomplished by a number of methods, including inciting those in the research field who’s jobs depend solely on funding by the pharmaceutical industry to form and give rigid opinions against homeopathy without actually knowing anything about what they are talking about. Also, they have enlisted many failed academics who lie about their credentials and knowledge of alternatives to create an aura of credibility yet are attempting to bolster their failed career by spreading self aggrandizing false information about alternatives. As well, there is a concerted attempt to minimize reporting of side effects and reporting of serious problems of modern drugs. It also has included enlisting individuals and groups who feel that corporations, like drug companies can do no harm and should not be restricted- a philosophy espoused by the teacher of many of the anti-alternative medicine zealots in the United Kingdom. Usually their arguments are simplistic at best, prejudicial and hate filled at worst. It goes viral on the internet in a better way if it is filled with hate. An emotional Facebook plea by a woman who turned out to be associated with the pharmaceutical industry, went viral. It was filled with disturbingly false information about the measles vaccine and those opposing it. It led to a popular pro-vaccine movement and even political changes. But it was actually part of a larger strategy that started when prominent researchers including the leading vaccine researcher Dr. Gregory Poland stated and wrote in peer reviewed journals, that the measles vaccine was failing. The success of this pharmaceutical industry strategy, which included serious funding of politicians, moved many governments towards even more compulsory drug taking-compulsory injections and even less liability by drug companies supplying them. Homeopaths are in for even more attacks because of the current failure of drug trials and the revealing of the danger of such a commonly prescribed type of drug as a PPI. On the other hand, those that value their overall health and think more deeply about their well being will appreciate homeopathy even more. An older study using two homeopathic remedies to determine if they could stop or prevent the growth of cancerous tumors previously induced in mice showed a very positive result for the homeopathic remedies versus placebo. The study was undertaken to examine whether Carcinosin-200 (Car-200- [a homeopathic remedy]) could provide additional ameliorative effect, if used intermittently with Natrum sulphuricum-30 (Nat Sulph-30- [a homeopathic remedy]) against hepatocarcinogenesis induced by chronic feeding of p-dimethylaminoazobenzene (p-DAB) and phenobarbital (PB) in mice (Mus mnusculus). Mice were randomly divided into seven sub-groups: (i) normal untreated; (ii) normal + succussed alcohol; (iii) p-DAB (0.06%) + PB (0.05%); (iv) p-DAB + PB + succussed alcohol, (v) p-DAB + PB + Nat Sulph-30, (vi) p-DAB + PB + Car-200, and (vii) p-DAB + PB + Nat Sulph-30 + Car-200. They were sacrificed at 30, 60, 90 and 120 days for assessment of genotoxicity through cytogenetical end-points like chromosome aberrations, micronuclei, mitotic index and sperm head anomaly and cytotoxicity through assay of widely accepted biomarkers and pathophysiological parameters. Additionally, electron microscopic studies and gelatin zymography for matrix metalloproteinases (MMPs) were conducted in liver at 90 and 120 days. Results showed that administration of Nat Sulph-30 alone and in combination with Car-200 reduced the liver tumors with positive ultrastructural changes and in MMPs expression, genotoxic parameters, lipid peroxidation, gamma-glutamyl transferase, lactate dehydrogenase, blood glucose, bilirubin, creatinine, urea and increased GSH, glucose-6-phosphate dehydrogenasc, superoxide dismutase, catalase, glutathione reductase activities and hemoglobin, cholesterol, and albumin levels. Thus, intermittent use of Car-200 along with Nat Sulph-30 yielded additional benefit against genotoxicity, cytotoxicity, hepatotoxicity and oxidative stress induced by the carcinogens during hepatocarcinogenesis. Part of the problem with scientific studies using homeopathic remedies is that the best results are when the homeopathic remedy is individualized to the patient. The ideal is when the individual modalities is taken into account of whatever problem is being studied and multiple homeopathic remedies are used. Almost all conventional medical studies do not have this and only some homeopathic studies do. What does Coca Cola, the Pharmaceutical Industry and the Anti-homeopathy Group ‘Sense About Science’ Have In Common? The Alliance for Natural Health International reports that the anti homeopathy group Sense about Science has been “busted by The Times of London” for once again secretly supporting corporate giants. This skeptic group has been for years taking contributions from Pharmaceutical Companies. In turn, they have authored actions and reports that seem independent and equal minded but are an attempt by the pharmaceutical industry to destroy homeopathy and the right of consumers to choose alternative health modalities. As mentioned, Sense about Science has been complicit in inciting and spreading negative and false opinions about homeopathy and alternative health modalities. It was revealed that it is funded by the pharmaceutical industry and other corporations needing a seemingly “independent” scientific voice. Homeopathy has an over 200 year history of effectiveness and safety. It is used by tens of millions of people with satisfactory and even brilliant results for both acute and chronic conditions. In the early 2000’s, pharmaceutical companies, worried about homeopathy’s impact on their marketing efforts in countries like India and Brazil, hired public relations people to develop and implement hidden strategies to attack and denigrate homeopathy and homeopaths. In this Ted Talk, Sharyl Attkisson a media expert, describes how these manipulative media methods have impacted public perception and “truth.” and particularly how this has been used by the pharmaceutical industry. She gives the term “astroturf” to the method of making something artificial seem like a real grassroots’ movement on public media when it is not. This sponsored “astroturf movement” against homeopathy and the distortion of information as described by her has impacted the public perception of homeopathy. Sharyl Attkisson also talks about the problematic situation with Wikipedia where many times experts in a particular field are not allowed to edit entries, and where Wikipedia allows special interests and favours them. This is evident in the homeopathy wikipedia entry, where Dana Ullman MPH, who is a world wide expert in homeopathy and has a Masters in Public Health has been prevented completely from editing and contributing to the Wikipedia entry on homeopathy. Instead, non experts on homeopathy and pharmaceutical representatives are only allowed. The United Kingdom’s Society of Homeopaths has unveiled a new web site- http://www.homeopathy-soh.org It is chock full of information on homeopathy and about this organization representing professional homeopaths in the UK. George Vithoulkas, age 82, was given a Doctor Honoris Causa at the Iuliu Hatieganu University of Medicine and Pharmacy, Cluj-Napoca, Romania. George Vithoulkias is considered the father of modern homeopathy. He changed the way homeopathic materia medica was understood and taught as well as elucidating homeopathic philosophy and its clinical application in the context of modern medical clinical practice. He resides in Greece. Vithoulkas’ books, Homeopathy: Medicine of the New Man (Arco, New York, 1979), written for the general public, and The Science of Homeopathy (Grove Press, New York, 1980), for health professionals, have been translated into twenty languages and have had a profound influence upon the acceptance and practice of homeopathy worldwide. His book, A New Model for Health and Disease, published in German and English in 1991, makes a fundamental critique of conventional allopathic medicine and sets out a new paradigm for the science of medicine. George Vithoulkas has received the Right Livelihood Award (Alternative Nobel Prize) “…for his outstanding contribution to the revival of homeopathic knowledge and the training of homeopaths to the highest standards.” The United Nations (Development Forum) consider this award “Among the world’s most prestigious awards”, while TIME Magazine called Jacob Uexkull, the award’s initiator, one of the 37 “heroes” of 2005. On Tuesday 5 May, 2015 at 12.00 PM, Professor of Homeopathy George Vithoulkas was nominated Doctor Honoris Causa at the Iuliu Hatieganu University of Medicine and Pharmacy, Cluj-Napoca, Romania. The Laudacio was made by the Dean of the University’s School of Medicine, Prof. Dr. Anca Dana Buzoianu, who referred at length to the scientific work of Prof. G. Vithoulkas. The opening ceremony was addressed by the President of the Senate, Prof. Dr. Ioan Ştefan Florian; the Vice Rectors of the University also attended the ceremony. “Today I am particularly proud that, through me, a great School of Medicine is honoring homeopathy, this remarkable therapeutic method, as well as Doctor S. Hahnemann, who discovered it 200 years ago. Homeopathy has been credited with impressive results in the last 200 years and that attests to its undoubted validity. Homeopathy is essential in the early stages of chronic diseases, when conventional medicine has no answers and, therefore, it constitutes a complementary therapeutic method sorely needed in medicine. On Monday 4 May, 2015, Prof. G. Vithoulkas opened the courses of Classical Homeopathy, which take place in the University’s Department of Neurology under the direction of Prof. Dr. Dafin Muresanu in cooperation with the International Academy of Homeopathy, based in Alonnisos, Greece. On Friday 8 May, 2015 he taught at Sibiu to 120 Romanian doctors, who attended from all regions of the country. The seminar was organized by Dr. Ofelia Lugojan and Dr. Mariana Tarniceru. In his speech, Prof. George Vithoulkas made extensive reference to the “Levels of Health,” while his book “Levels of Health” in Romanian was also presented at the seminar. Academician Dr. Aurelia Nicoleta Cristea and Prof. Dr. Simona Dragan also attended the event. Dr Robert Mathie, the Research Development Advisor for The British Homeopathy Association also had expressed reservation about the nature of the research being conducted by the NHMRC. “Given that a review of reviews is two stages removed from the original clinical trial evidence, it has the potential to misrepresent the totality of the relevant research”. During 25 years in the university sector, Dr Mathie published over 100 peer-reviewed papers. Since 2010, he has focused on reviewing and clarifying the research literature on homeopathy by means of a major programme of systematic reviews of randomised controlled trials in human and veterinary homeopathy for The British Homeopathic Association (BHA). He is very positive about the results of research into homeopathy. The Swiss government researchers had no affiliation with pharmaceutical companies. One of the leading research chemists and scientists was so impressed with homeopathy that he decided to study it and is now a practising homeopath. Dr Lionel R Milgrom BSc, MSc, PhD, CChem, FRSC, LCH, MARH, RHom. is a Fellow of the Royal Society of Chemistry and his research and articles are highly cited in leading science journals. He has practised for a number of years as a professional homeopath in London, England. The United Kingdom’s largest registering association of professional homeopaths called the Society of Homeopaths, was founded in 1978 “to forward the development of the profession, its aim is high quality homeopathic health care for all”. Now, the Society of Homeopaths’ voluntary register has been accredited under a new scheme set up by the Department of Health and administered by an independent body, the Professional Standards Authority for Health and Social Care, which is accountable to the United Kingdom’s Parliament. Patients and the public can have confidence in the Society of Homeopaths’ voluntary register which has been vetted and approved by the Professional Standards Authority. Ontario, which is the largest province of Canada with a population of 13.6 million people, has now officially “proclaimed” homeopathy as a health profession. It gives professional homeopaths equal footing with other health disciplines. Professional homeopaths will have some restrictions in what they can do but will be able to practice as a respected health discipline. All health professions have a professional “College” as it is called, such as the College of Homeopaths or the College of Physicians and Surgeons. April 1, 2015 marks the proclamation date of the Homeopathy Act, 2007, which sets out the terms for establishing homeopathy as one of 28 self-regulated health professions in Ontario. This date also ushers in a new era of protection for homeopathy patients. Regulation will ensure that homeopaths practise to a standard that is defined and maintained. In order to register, applicants must have proven their competence through an assessment of their knowledge, skill and judgement. Registrants will take part in ongoing quality assurance initiatives, focusing on education and standards of practice. “We are pleased to post the Public Register of qualified and competent homeopaths,” says College Registrar Basil Ziv. As of April 1, only those who are registered with the College can use the title “Homeopath.” What sets registered homeopaths apart is that, under the Regulated Health Professions Act, 1991, they are accountable to the College of Homeopaths of Ontario to provide safe, competent and ethical practice. An exhaustive set of professional practice standards and guidelines has been developed to form the backdrop against which practice will be maintained. The public register of homeopaths will be available to allow patients and others to determine the registration status of a practitioner. Additionally, a discipline process will be in place to ensure that complaints can be dealt with fairly and effectively. College and the Government of Ontario. For more information on the Public Register, complaints process, registration requirements, professional practice standards,and ongoing regulatory programs, please see the College’s website: http://www.collegeofhomeopaths.on.ca . Homeopaths are trained health-care practitioners who observe and assess the totality of signs and symptoms that the patient exhibits. This totality refers to taking all the symptoms a patient exhibits on a physical, mental, emotional and general level, and prescribing a remedy that best matches this symptom profile. Treatment involves choosing the appropriate remedy, which is administered in minute doses with the aim of stimulating the individual’s healing response. What is the homeopathic scope of practice? treatment using homeopathic techniques to promote, maintain or restore health.” The College of Homeopaths of Ontario has created a series of professional practice standards and guidelines to define the safe and effective practice and scope of practice for homeopathy. Homeopaths work in a variety of settings including private practice, multi-practitioner health-care centres, pharmacies, and other health-care settings. Do patients need a referral from a family doctor? Homeopathy may be used independently to treat acute or chronic illness or disorders or as an adjunct to other forms of health care. In many cases homeopaths are part of the patient’s multi-disciplinary health care team. A referral is not required to see a homeopath. What should a patient expect upon visiting a homeopath? At the first consultation the homeopath will spend at least one to two hours, sometimes longer, asking detailed questions about one’s health, medical history, and lifestyle. The homeopath is seeking to understand how the patient experiences symptoms and how they affect daily life, so that s/he can assess and prescribe the most appropriate remedy to match the totality of symptoms. The homeopath will obtain informed consent prior to completing their visit with the patient and prior to providing remedy options. Subsequent consultations are often shorter in duration and will involve discussing the changes that have occurred, so that the homeopath can understand how the patient has responded to the remedy and what the next treatment step will be. Will patients have to pay for treatment? Homeopathic care may be covered by individual health-care benefits plans. Patients should check with their employers or insurance providers for more details. How can a patient find a homeopath? College of Homeopaths of Ontario. Once registered, the Homeopath’s name will appear on the Public Register of the College. The Public Register provides the public with information about the practitioner including business name and address, years in practice, status of College regulation, and information about any formal disciplinary or fitness to practice issues. The Regulated Health Professions Act, 1991 (RHPA), which came into force on December 31, 1993, and was amended in June 2007, provides a common legislative framework under which all regulated health professions in Ontario must function. Currently 28 health professions (27 fully regulated, 1 transitional) are regulated under the RHPA. • To treat individual patients/clients and health professionals in an equitable manner. Every regulated health profession in Ontario has, in addition to the RHPA, a profession-specific Act which establishes a regulatory college responsible for governing the profession to ensure the public is protected. The Homeopathy Act, 2007 establishes the College of Homeopaths of Ontario. • The composition of the College Council. How does the College protect the public? In Ontario, the law sets out the responsibilities, powers and procedures for the College of Homeopaths of Ontario to regulate the profession of homeopathy in the interest of public protection. The College works for the public to ensure that homeopaths are qualified to offer safe, competent and ethical care. While anyone can legally provide homeopathy education and advice, what sets registered homeopaths apart is that, under the Regulated Health Professions Act, 1991, they are accountable to the College of Homeopaths of Ontario to provide safe, competent and ethical practice. Each homeopath must participate in quality assurance and practice assessment programs to ensure continuing competency. Under certain circumstances, homeopaths and employers have an obligation to report registrants who are not practising ethically, safely and competently. services they have received from a homeopath. The College has the responsibility and power to investigate and take action in all complaints. “Homeopath” or “HOM.” Individuals who are not members of the College are prohibited from using this professional designation or from holding themselves out as qualified to practise as a homeopath. You can verify that your homeopath is a qualified and registered member by consulting the Public Register. A chemist funded by a pharmaceutical company head is attacking and attempting to censor a research study on the homeopathic treatment of Attention Deficit Hyperactivity Disorder (ADHD). The study is being done by professors and researchers at the University of Toronto in Canada. The chemist, Joe Schwarcz is funded to attack homeopathy by the head of a pharmaceutical company who also funds other anti homeopathy skeptic groups. According to the Toronto Star newspaper, the drug company funded chemist has organized a group of scientists to sign a letter that would censor and stop this research and any research into homeopathy. Homeopathy is the second largest form of medicine in the world and has a 200 year history of safety and efficacy. The Journal of the American Academy of Child and Adolescent Psychiatry found that the total spending on ADHD is up to $266 billion a year. Sales of prescription drugs for ADHD treatment doubled between 2007 and 2012, going from $4 billion to $9 billion. Homeopathy offers a viable and inexpensive alternative and the University of Toronto study is a scientific validation of this. 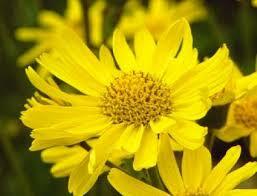 Arnica montana has been one of the most important homeopathic remedies for the effects of trauma. Historically, for over 200 years homeopathic Arnica has been used for the effects of trauma which includes bruising and even head injuries. In 2006, a study showed that it was effective for bruising after face lifts. Many main stream plastic surgeons have subsequently incorporated its use for after their surgical procedures. Now, a new review of Arnica montana in the American Journal of Therapeutics suggests that Arnica montana “may represent a valid alternative to non-steroidal anti-inflammatory drugs, at least when treating some specific condition.” The review entitled “Effectiveness and Safety of Arnica montana in Post-Surgical Setting, Pain and Inflammation” deemed it to be effective for pain management in post operative settings. 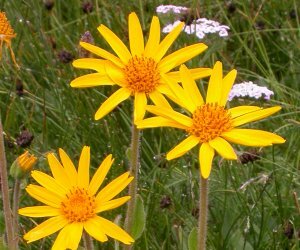 Arnica montana has been widely used as a homeopathic remedy for the treatment of several inflammatory conditions in pain management and postoperative settings. This review gives an overview of the therapeutic use of Arnica montana in the above-mentioned fields also focusing on its mechanisms of action learned from animal models and in vitro studies. Arnica montana is more effective than placebo when used for the treatment of several conditions including post-traumatic and postoperative pain, edema, and ecchymosis. However, its dosages and preparations used have produced substantial differences in the clinical outcome. Cumulative evidence suggests that Arnica montana may represent a valid alternative to non-steroidal anti-inflammatory drugs, at least when treating some specific conditions. Scientists replicating earlier experiments but using modern scientific methodologies has confirmed that homeopathic potentized dilutions are active. The study was published recently and is entitled: Inhibition of CD203c membrane up-regulation in human basophils by high dilutions of histamine: a controlled replication study. Membrane up-regulation of CD203c, which in these experimental conditions proved to be a more consistent activation marker than CD63, was significantly inhibited in samples treated with histamine at the dilutions of 2C (P = 0.001), 12C (P = 0.047), 14C (P = 0.003), 15C (P = 0.036) and 16C (P = 0.009). Control water dilutions/succussions did not show any significant effect. Using a strictly standardized flow cytometry protocol and a new dilution/succussion procedure, we have shown that low and high dilutions of histamine inhibit CD203c up-regulation in anti-IgE stimulated basophils. The online paper also describes the history of this type of experiment starting with a scientist named Benveniste and how modern methods have now shown indisputably that homeopathic high dilutions that are potentized have effect and that this experiment can be replicated successfully. Two new studies conclude that a review which claimed that homeopathy is just a placebo, published in The Lancet, was seriously flawed. · Analysis of all high quality trials of homeopathy yields a positive conclusion. · The 8 larger higher quality trials of homeopathy were all for different conditions; if homeopathy works for some of these but not others the result changes, implying that it is not placebo. 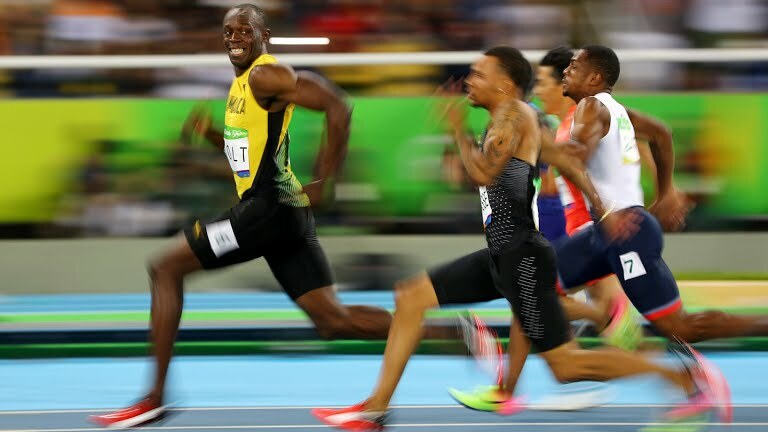 · The comparison with conventional medicine was meaningless. · Doubts remain about the opaque, unpublished criteria used in the review, including the definition of ‘higher quality’. The Lancet review, led by Prof Matthias Egger of the Department of Social and Preventive Medicine at the University of Berne, started with 110 matched clinical trials of homeopathy and conventional medicine, reduced these to ‘higher quality trials’ and then to 8 and 6 respectively ‘larger higher quality trials’. Based on these 14 studies the review concluded that there is ‘weak evidence for a specific effect of homoeopathic remedies, but strong evidence for specific effects of conventional interventions’. There are a limited number of homeopathic studies so it is quite possible to interpret these data selectively and unfavourably, which is what appears to have been done in the Lancet paper. If we assume that homeopathy does not work for just one condition (Arnica for post-exercise muscle stiffness), or alter the definition of ‘larger trial’, the results are positive. The comparison with conventional medicine was meaningless: the original 110 trials were matched, but matching was lost after they were reduced to 8 and 6. But the quality of homeopathic trials was better than conventional trials. This reconstruction casts serious doubts on the review, showing that it was based on a series of hidden judgments unfavourable to homeopathy. An open assessment of the current evidence suggests that homeopathy is probably effective for a number of conditions including allergies, upper respiratory tract infections and ‘flu, but more research is desperately needed.